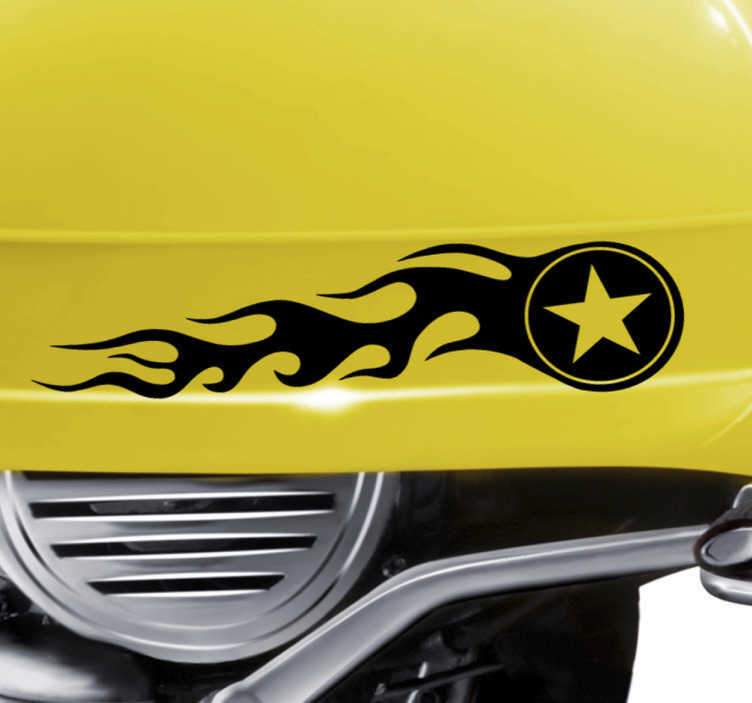 Motorbike decals - Style and design your motorbike with this great design of a star wheel on fire. Perfect for bikers who live for speed. Let everyone know of your biking ability. Available in up to 50 colours and different sizes. Our vehicle stickers are also waterproof therefore you do not have to worry when you drive in adverse weather conditions.